The .NET Core podcast is the only podcast which is devoted to .NET Core; ASP.NET Core; EF Core; SignalR; and not forgetting The .NET Core community, itself.It is hosted by Jamie "GaProgMan" Taylor who has been developing with .NET Core and writing about it since November 2016. A teaser post for The .NET Core Podcast - explaining what you can expect in terms of format and content of the upcoming show. In this episode of The .NET Core Podcast, we talk with Steve Gordon about deep dives into .NET Core, continual learning, and public speaking. In this episode of The .NET Core Podcast, we cover the topic of Mono - what is it, where did it come from, and why do we need it? In this episode of The .NET Core Podcast, we talk to Ed Charbeneau about the grand ASP.NET Core experiment: Blazor. Just What Is .NET Standard? 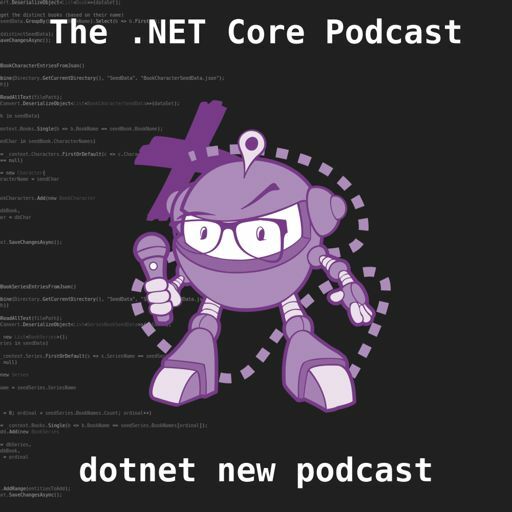 In this episode of The .NET Core Podcast, we talk to Dustin Metzgar about his open source project: CoreWF. In this introductory episode, Jamie tells us why he started the podcast, what the goals are, and what you should expect from it.